For damaged, disabled Flinch, who accidentally killed his best friend, destiny comes full circle, in an emphatic story of redemption. 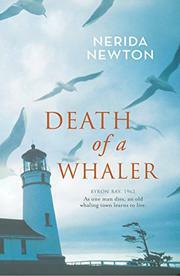 On a whaling ship in 1962, Nathan (Nate) West died when he was knocked over and fell on Flinch’s knife. Now, 13 years later, Flinch is still mired in depression and guilt, making a living in the small Australian coastal community of Byron Bay by catching fish and doing occasional jobs. The man’s afflictions are legion. He’s the son of an oppressively bitter single mother and was born with a shriveled leg, making him accustomed to isolation. Hence his surprise when he is befriended by Karma, a hippie living in a local commune complete with yurts, healing ceremonies and plenty of pot. Essentially a decent man, Flinch takes Karma in after she’s beaten up by her lover; he also decides belatedly to visit Nate’s parents, to tell them about their son’s death, although when he discovers them poor and ill he spares them further pain. Two elements—Karma’s presence and the act of helping restore a neglected sailing ship (to be named Westerly, after Nate)—start to heal Flinch’s wounds. But a late revelation about Karma forces him to face up to his deepest fears, alone, out on the ocean, among the whales. Newton’s second novel (The Lambing Flat, 2003), tells a neat, somewhat over-literal tale of a crooked man learning to regain his footing. Portentous storytelling lifted by a graceful style.